If the Mueller report exonerates Trump, why write a 'counter-report'? 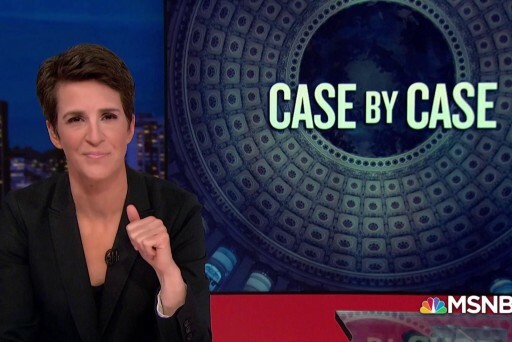 If all goes according to plan, Attorney General Bill Barr's office will release a redacted version of Special Counsel Robert Mueller's findings tomorrow morning, which should shed some additional light on the Russia scandal and Donald Trump's relation to it. Lawyers for Mr. Trump have for months been preparing a counter-report. It is now 140 pages long, but lawyers want to whittle it down to about 50, Trump lawyer Rudy Giuliani said in an interview. Mr. Giuliani said Mr. Trump's lawyers expect the bulk of their report to focus on the topic of obstruction of justice and plan to scrap most of the material on collusion. How attorneys could spend months writing a response to a report they have not seen -- and up until recently, did not exist -- is not at all clear. But even putting that aside, there are two principal areas of concern. First, Giuliani has struggled for quite a while when describing the length of his purported counter-report. Last August, Giuliani said he and his team had prepared a counter-report to Muller's findings that was "quite voluminous." Giuliani added at the time, "The first half of it is 58 pages, and second half isn't done yet." A month later, Giuliani said his counter-report was 45 pages and growing. Over the weekend, it was 140 pages and shrinking. Yesterday, it was "34 or 35" pages. The former mayor sounds a bit like a student who hasn't yet started a term paper, but who's eager to convince his professor the work is nearly complete. But as amusing as it's been to watch Giuliani dissemble over the course of several months, there's an overarching question that Team Trump hasn't yet addressed: if the Mueller report exonerates the president, why in the world would his lawyers feel the need to release a counter-report at all? 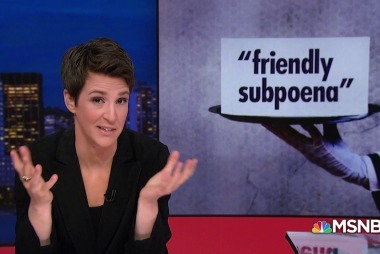 * I can't wait to see how the bank responds: "Two House committees have issued subpoenas to Deutsche Bank and other financial institutions for information on President Donald Trump's finances. 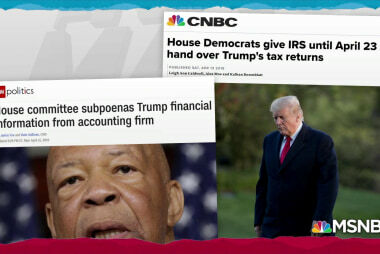 The chairs of the House Intelligence and Financial Services committees said in statements to NBC News on Tuesday that they are working in tandem to probe the president's financial ties." * Hmm: "The U.S. attorney for the District of Columbia argued in a court filing Monday that the Washington Post's request to release sealed and redacted records related to Paul Manafort's case should be rejected because of the existence of several 'ongoing investigations.'" * A sensible reversal: "Immigration officials last week deported the spouse of a U.S. soldier killed in Afghanistan in 2010, leaving the couple's 12-year-daughter in Phoenix, then abruptly reversed its decision on Monday when the deported man was allowed to return to the U.S."
* More on this story tomorrow: "Three House Democratic chairmen on Monday launched a probe into reports that the White House pressured immigration enforcement officials to release migrants into the districts of political adversaries." * This controversy hasn't gone away: "Rep. David Schweikert is running up big legal bills as the House Ethics Committee investigates the Arizona Republican's dealings with his former top aide and other employees." * Poorly designed tax policy: "The flood of fiscal stimulus from the Republican tax cut bill is about to slow to a trickle.... The juice it was supposed to inject in the economy will likely soon run out, just in time for the presidential election year. The fiscal stimulus of the tax bill will likely continue this year, but once 2020 arrives, many economists say the short-term growth effects will probably run out." As far as Donald Trump is concerned, Senate Republicans should take the lead on crafting the GOP's alternative to the Affordable Care Act. Evidently, the chairman of the Senate Finance Committee isn't eager to help in the endeavor. At a certain level, comments like these may seem so anodyne, they're hardly notable. Any responsible assessment of the Affordable Care Act and its effects would conclude that it obviously deserves to be seen in a positive light. But in Republican politics over the last decade, rhetoric like Grassley's has been verboten. The only acceptable labels for "Obamacare" in GOP circles are words like "failure," "disaster," and attacks not suitable for publication on family websites like this one. To concede that the Affordable Care Act has helped millions, and has had a positive impact on the country, is to betray the Republican Party's goals and principles. Indeed, Iowa's senior senator is an observer of particular relevance. Those who followed the debate over health-care reform closely may recall that by the fall of 2009, “no Republican received more TLC from Barack Obama” than Chuck Grassley. The Democratic president and his team reached out to him constantly, hoping that he was the kind of senator who would work in good faith towards bipartisan solutions. He was not. While Grassley claimed to be serious about bipartisan solutions on health care reform, he was also, at the same time, making fundraising appeals urging donors to send him cash to help him “defeat Obama-care.” Grassley proceeded to talk up “death panel” garbage and tout Glenn Beck’s book. By August 2009, Grassley told MSNBC that he was negotiating with the White House on a health care compromise, which Grassley was prepared to vote against, even if it included everything he asked for. In the years that followed, the conservative Iowan did what hundreds of other GOP lawmakers did: Grassley voted to repeal the reform law -- in whole or in part -- several times. * Sen. Elizabeth Warren (D-Mass.) yesterday unveiled a new public-land-use plan that includes, among other things, an executive order that would impose "a total moratorium on all new fossil fuel leases, including for drilling offshore and on public lands." * Sen. Cory Booker (D-N.J.), meanwhile, unveiled elements of his tax plan yesterday, including an expansion of existing Earned Income Tax Credit. * A new national poll from Emerson found Sen. Bernie Sanders (I-Vt.) leading the Democratic presidential field with 29%, followed by former Vice President Joe Biden (D-Del.) at 24%. A month ago, Emerson found the two men tied at 26%. 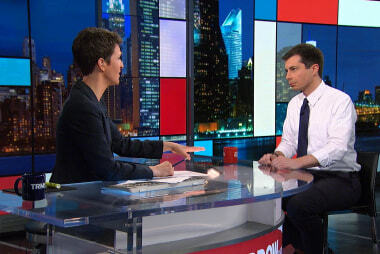 No other candidate reached double digits, though South Bend Mayor Pete Buttigieg (D), Sen. Kamala Harris (D-Calif.), and former Rep. Beto O'Rourke (D-Texas) came close. * Speaking of Sanders, the Vermont senator released a decade's worth of tax returns yesterday. Around the same time, Beto O'Rourke did the same thing. * With the North Carolina Republican Party facing turmoil and scandal, Dallas Woodhouse is stepping down in June as the state GOP chair. * There's a very interesting new Mason-Dixon poll out of Alabama, where Sen. Doug Jones (D) has a 45% approval rating, though 50% of voters are prepared to replace him during his re-election bid next year. That said, the top choice among Alabama Republicans for that Senate race is none other than former state Supreme Court Chief Justice Roy Moore (R). Stephen Moore's total lack of qualifications, expertise, and independence for the Federal Reserve has been well documented, though Donald Trump apparently wants him on the Board of Governors anyway. But as CNN reported, we're not done learning about the Republican pundit's background. Among other things, Moore has called for the elimination of several federal cabinet agencies, argued that there's no need for a minimum wage, and condemned Social Security as a "Ponzi scheme" that should be privatized. The same CNN report pointed to comments Stephen Moore told filmmaker Michael Moore in 2009, in which the Republican said, "Capitalism is a lot more important than democracy. I'm not even a big believer in democracy." In 2015, meanwhile, Moore suggested the Federal Reserve shouldn't exist. Remember, as far as GOP senators are concerned, Stephen Moore is the better of the president's two choices for the Federal Reserve board. 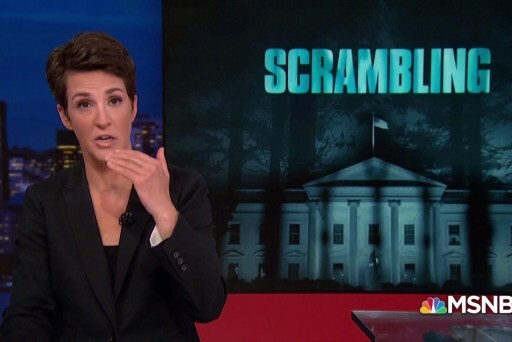 It's been 25 days since Special Counsel Robert Mueller delivered his findings to Attorney General Bill Barr, and pretty much all we know about that final report comes from Donald Trump's handpicked AG. 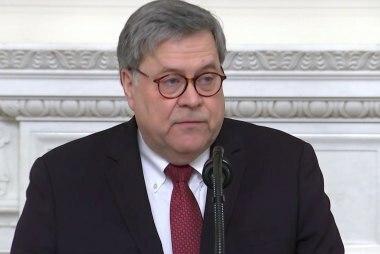 Barr's characterization of the document -- he included some fragments, but no complete sentences from Mueller's report -- have served as the basis for Republican celebrations, a White House victory lap, and taunts from skeptics of the Russia scandal. 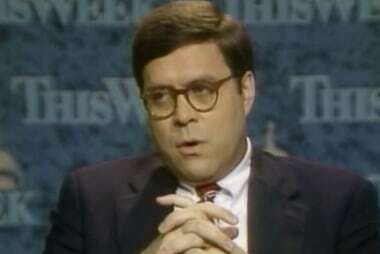 With a redacted version of the report scheduled to be released in about 48 hours, we'll get a better sense of whether those pro-Trump cheers had merit, but in the meantime, there's a question that lingers over the debate: why exactly are so many so quick to take Barr's assessment at face value? 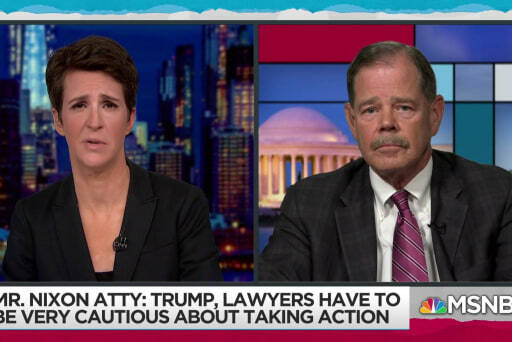 The president's allied attorney general has faced a series of legitimate questions about his credibility, stemming from years of controversies, his unsolicited memo criticizing the Mueller investigation, and more recently, his willingness to endorse a Trump conspiracy theory. On Friday the thirteenth October 1989, by happenstance the same day as the "Black Friday" market crash, news leaked of a legal memo authored by William Barr. He was then serving as head of the Justice Department's Office of Legal Counsel (OLC). It is highly uncommon for any OLC memo to make headlines. This one did because it was issued in "unusual secrecy" and concluded that the FBI could forcibly abduct people in other countries without the consent of the foreign state. The headline also noted the implication of the legal opinion at that moment in time. It appeared to pave the way for abducting Panama's leader, Gen. Manuel Noriega. Members of Congress asked to see the full legal opinion. 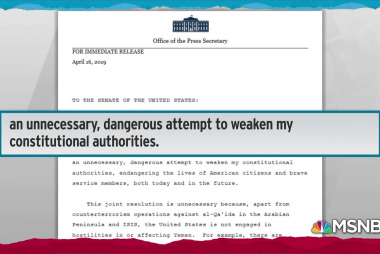 Barr refused, but said he would provide an account that "summarizes the principal conclusions." Sound familiar? Goodman's piece is worth reading in its entirety, but to briefly summarize, Barr wrote a summary of an important document for lawmakers, and a few years later, it became obvious that his account omitted key conclusions from the original document. Last week, Donald Trump hired a new group of lawyers to do one very specific thing: keep the president's tax returns secret. Yesterday, those attorneys sent a letter to the Treasury Department, which oversees the IRS, urging administration officials to look past the letter of the law. Mr. Trump's lawyer, William S. Consovoy, said on Monday that the legal rationale behind [House Ways & Means Committee Chairman Richard Neal's] dismissal of the Treasury Department's concerns was wrong. As regular readers know, Richard Neal, exercising his authority under the law, formally told the Treasury Department two weeks ago that he's demanding access to the president's tax returns. The Massachusetts Democrat did so under a law that says the Treasury "shall furnish" the tax materials in response to a formal request from one of a handful of congressional lawmakers, including himself. Rep. Lloyd Doggett (D-Texas), a member of the Ways and Means Committee, said in a written statement last week, "How many lawyers and how much time does it take for [Treasury Secretary Steven Mnuchin] to understand that 'shall' means 'shall'?" And yet, yesterday, Trump's new private attorney told the Treasury that those pointing to the letter of the law are not making "a serious legal argument." The correspondence added that "no one actually believes" Richard Neal is interested in legitimate congressional oversight. To bolster the point, the president's lawyer pointed to ... wait for it ... quotes from congressional Republicans. Two months after launching a presidential exploratory committee, former Massachusetts Gov. Bill Weld made a rather audacious announcement yesterday: he kicked off a Republican primary challenge against the sitting president of his own party, Donald Trump. "America deserves better," Weld's campaign announcement video said, before showing video clips of Trump mocking John McCain, imitating a disabled reporter, praising Wikileaks and the notorious "Access Hollywood" tape where he was caught on audio making inappropriate comments about women. "It is time for patriotic men and women across our great nation to stand and plant a flag. It is time to return to the principles of Lincoln -- equality, dignity, and opportunity for all. There is no greater cause on earth than to preserve what truly makes America great. I am ready to lead that fight," Weld said in a statement. By any fair measure, the former governor has traveled a non-traditional political path. In the 1990s, Weld was a popular two-term Republican governor of one of the nation's bluest states, before being tapped by a Democratic president to serve as an ambassador. Weld's nomination was blocked, and ultimately killed, by a senator from his own party -- North Carolina's Jesse Helms -- who concluded he wasn't far enough to the right. More recently, Weld abandoned the GOP altogether and ran in 2016 as the Libertarian Party's vice presidential nominee. After Donald Trump's election, the former governor rejoined the Republican Party, and yesterday, the 73-year-old candidate decided to launch a quixotic challenge against a sitting president who enjoys strong support from his party's far-right base. "I'm here because I think our country is in grave peril," Weld said in February after launching an exploratory committee. "I cannot sit quietly on the sidelines any longer." One need not be a political expert to know Trump will be the overwhelming favorite in the race for the GOP nomination -- to the extent that there will even be an actual "race" -- but I'm nevertheless interested in the possibility of a sitting president having to deal with an intra-party rival. Because the historical pattern paints an interesting picture. Last Thursday, the Senate voted largely along party lines to confirm David Bernhardt, a former corporate lobbyist for the oil industry, as the nation's new secretary of Interior. Four days later, as the New York Times reported, he became the subject of an ethics investigation. Eight senators, all Democrats, and four government ethics watchdog groups have requested that the Interior Department's inspector general open formal investigations into various aspects of Mr. Bernhardt's conduct. Among the chief complaints have been allegations, revealed by three separate New York Times investigations, that Mr. Bernhardt used his position to advance a policy pushed by his former lobbying client; that he continued working as a lobbyist after filing legal paperwork declaring that he had ceased lobbying; and that he intervened to block the release of a scientific report showing the harmful effects of a chemical pesticide on certain endangered species. There are a handful of ways to look at a story like this one. The first is to note the incredible speed with which the Republican cabinet secretary found himself facing an ethics probe. Bernhardt certainly isn't the first member of Donald Trump's team to find himself under investigation, but the Interior secretary may have set some kind of land-speed record: he was confirmed on April 11, only to receive word about an ethics inquiry on April 15. As we discussed last week, there was a reason a protester in a Swamp Creature mask sat behind the Republican nominee during his recent confirmation hearing.